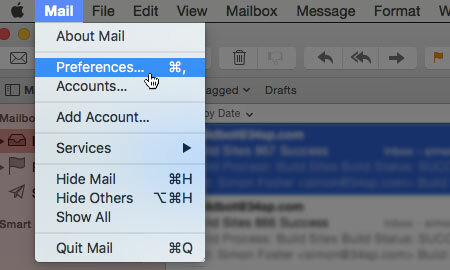 When your mail client connects to our mail servers to pick up your email, it uses authentication in order to keep the contents of your email secure. 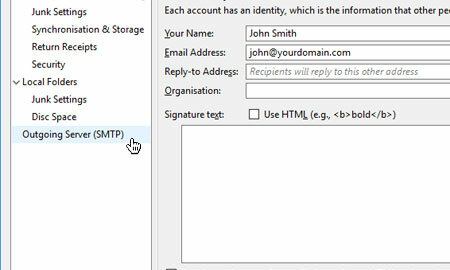 There are various forms of authentication for email, including “CRAM-MD5 authentication”, which is an outdated authentication protocol. In this guide we will look at how to check if you are using CRAM-MD5 authentication, and how to change it to a more up-to-date and secure protocol. Then click on the option labelled 'Change'. 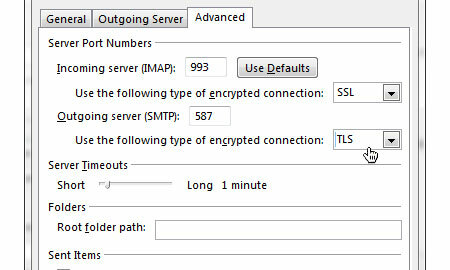 Locate the section labelled 'Outgoing server (SMTP)', and the drop down menu below it, next to text that reads 'Use the following type of encrypted connection'. Simply click on the drop down menu and choose 'TLS'. 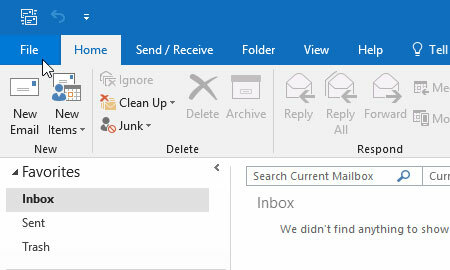 The update the number in the text field adjacent to text that reads 'Outgoing server (SMTP)', to 587. Click 'OK' to save your settings, and you have successfully updated your authentication settings. 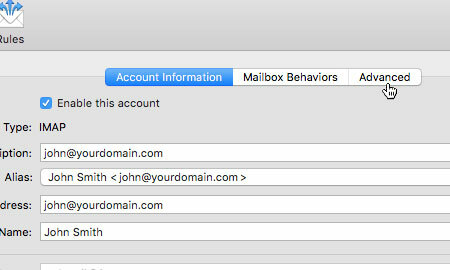 From the preferences pane, choose 'Accounts'. 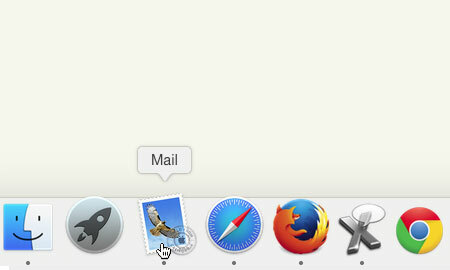 Then select your email address from the column on the left hand side. 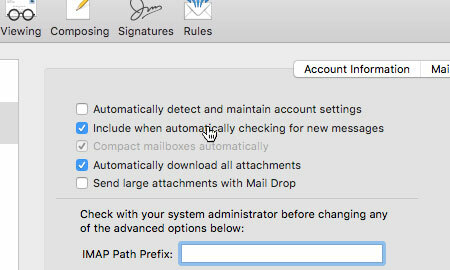 Location the section labelled 'Outgoing Mail Server (SMTP)' and click on the drop down menu. 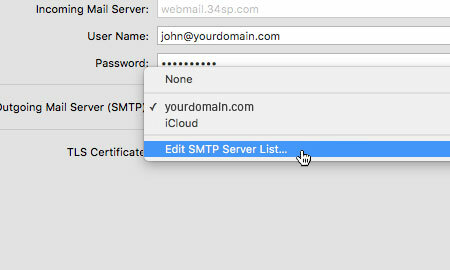 Then choose 'Edit SMTP Server List…'. 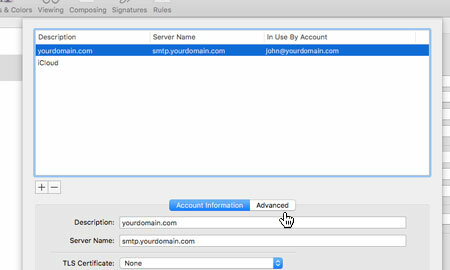 Select your outgoing server (this will most likely be smtp.yourdomain.com), then click on 'Advanced'. 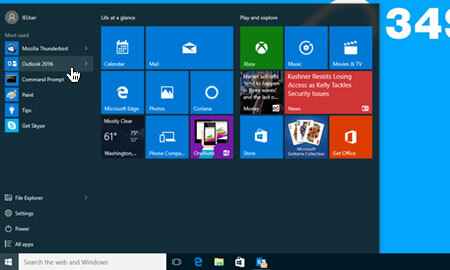 Locate the drop down menu labelled 'Authentication'. 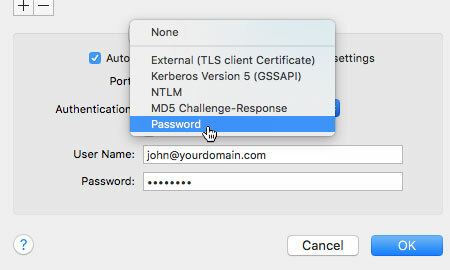 If your authentication setting is set to 'MD5 Challenge Response' then you will need to change it. 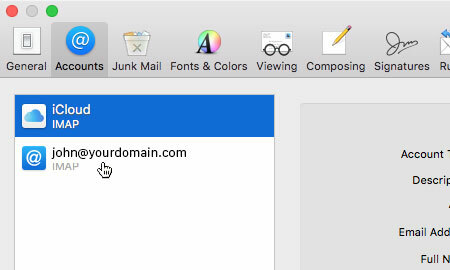 Simply click on the drop down menu and choose 'Password'. Click 'OK' to save your settings. 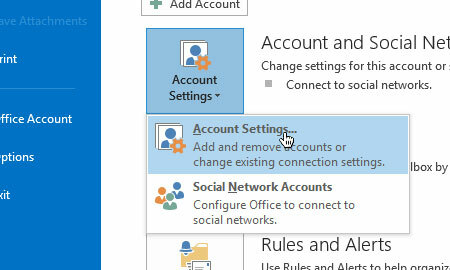 You will then be returned to the account preferences screen. 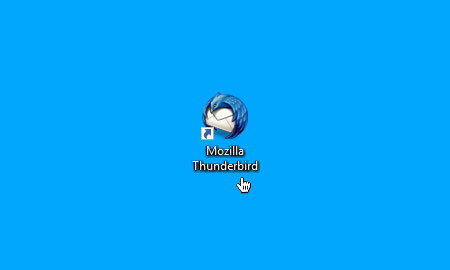 Simply click on the tab labelled 'Advanced'. 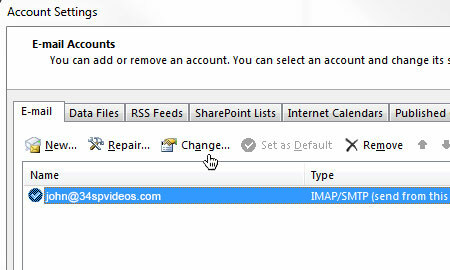 Locate the check box labelled 'Automatically detect and maintain account settings', and if it is checked, click on the check box to uncheck it. Once that step is completed, you have successfully updated your authentication settings. 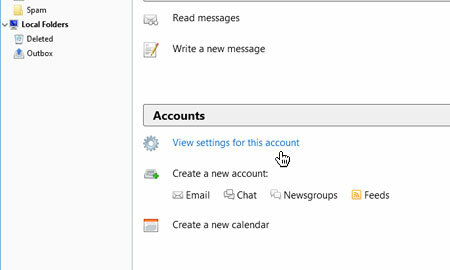 Ensure the correct email address is selected in the left hand column, then click on the option labelled 'View settings for this account'. This is bring up your settings menu. 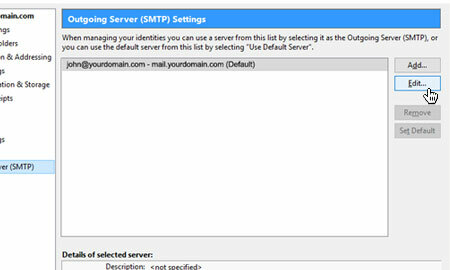 Click on the option labelled 'Outgoing Server (SMTP)' from the left hand column. Then click on the button labelled 'Edit'. On the edit pane, locate the drop down menu labelled 'Authentication method'. If your authentication setting is set to 'Encrypted password' then you will need to change it. 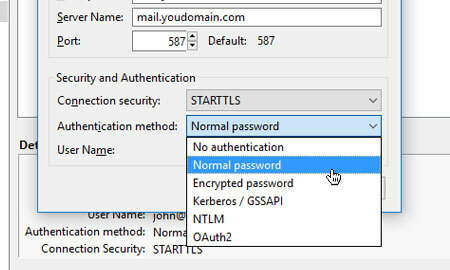 Simply click on the drop down menu and choose 'Normal password'. Click 'OK' to save your settings, and you have successfully updated your authentication settings.